Citation: Goode, J. (2010). 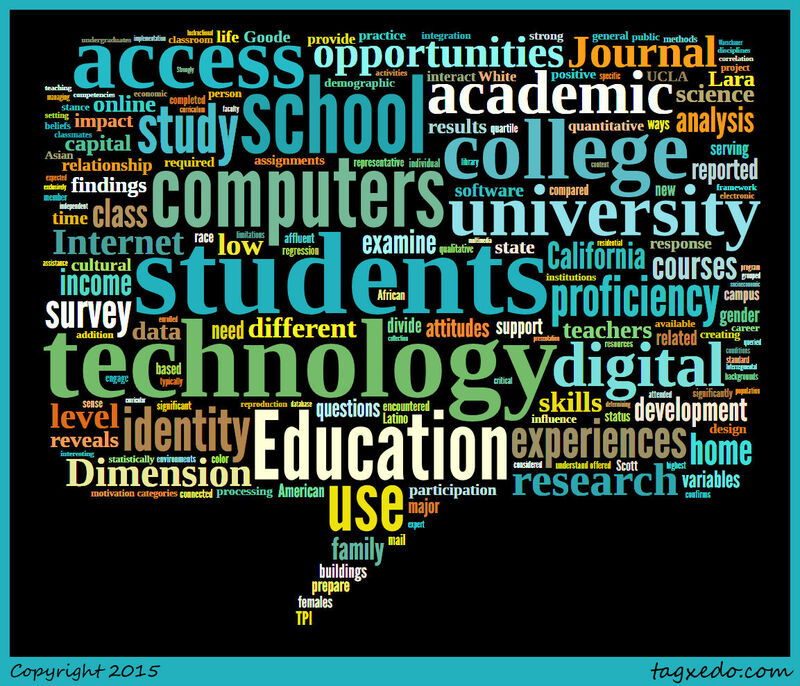 Mind the Gap: The Digital Dimension of College Access. Journal Of Higher Education, 81(5), 583-618. Summary: Goode examined the relationship of a student's personal history computer access and skills development with how such knowledge impacts their educational pursuits. Her goal was to understand how lack of access and skillset can impede performance of low-income students in higher education. She provided a technology identity framework which she used in her mix-methods research that includes surveying (512 respondents) and hour-long semi-structured interviews (3 respondents) at UCLA. 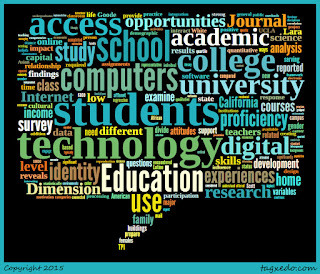 The survey focused on home technology access, technology integration and access in high school, technological social/cultural capital, ability level on specific computer activities, UCLA's access and technology integration, and attitude towards technology. Goode developed a technology proficiency index (TPI) to rate students answers. Goode finds that though race is not correlated with TPI, it is correlated with other measures that are correlated with TPI. She then showed some of the explicit racial and educational differences such as age-differences in first encountering technology, where technology was accessed, technological social capital access, and formal technological instructional. Goode provided brief sketches of the three interview students to articulate specific ways in which divides and access limit or enhance the college experience. The results indicate that level access and skills development prior to and during college impact the student's experience and development throughout college.